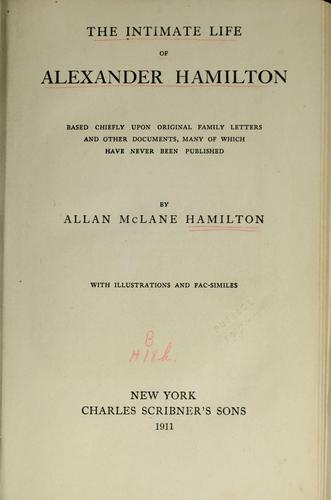 8 editions of The intimate life of Alexander Hamilton found in the catalog. Add another edition? Are you sure you want to remove The intimate life of Alexander Hamilton from your list? based chiefly upon original family letters and other documents, many of which have never been published. 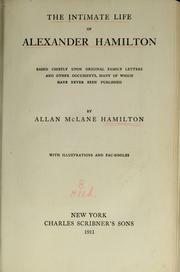 Published 1910 by C. Scribner's sons in New York .